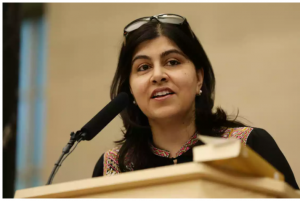 baroness warsi Archives - counterjihadwarrior.com - Because Islam will NEVER EVER be a Religion of Peace - rather a barbaric, totalitarian cult, based on fear, violence, intimidation & terror. MPs are to write a report on identifying a “working definition of Islamophobia”, appealing to hard-line Islamist and far left, Soros-funded groups to contribute. The All Party Parliamentary Group (APPG) on British Muslims launched their “appeal for evidence” Monday, describing “Islamophobia” as a form of “group based hatred or hostility” comparable to racism. Their letter does not acknowledge there might be rational reasons to have reservations about rising levels of radical Islam and the growing influence of Islam in the West generally. The call for submissions also also only mentions free speech concerns at the end, in passing, describing them as “questions possibly outside the scope of this report”. They aim to develop a definition of Islamophobia that can be “widely accepted by Muslim communities, political parties, and the Government”, the document adds. She also sent the appeal for evidence directly to the radical left wing “anti-fascist” group HOPE Not Hate — who just last week were forced to distance themselves from an anti-Semitic supporter — and the Islamist-linked Muslim Engagement and Development (MEND) group, formerly known as iENGAGE, inviting them both to contribute. The APPG on British Muslims was launched in 2010 but was forced to re-launch the following year after a Tory MP and Labour Peer quit when “Islamist sympathisers” iENGAGE, which had repeatedly defended extremists, were made the group’s secretariat and given parliamentary passes. A report last year found MEND still promotes “extremism”, harbours anti-Semites, and gives a platform to Muslim grievance narratives and Islamist views, including promoting false claims of “Islamophobia”. And, in the last two months, they have been slammed for “racist” attacks on a moderate a Muslim appointed to advise the government on integration and an outgoing Metropolitan Police chief compared them to a banned terror group. Baroness Warsi also sent the appeal to the Muslim Council of Britain, which is accused of working with extremists. The government has also admitted they are linked to the Muslim Brotherhood, which campaigns for a global, Islamist, sharia state, and are banned as a terror group in some countries. Tell Mama was likewise invited to give evidence in her tweet. 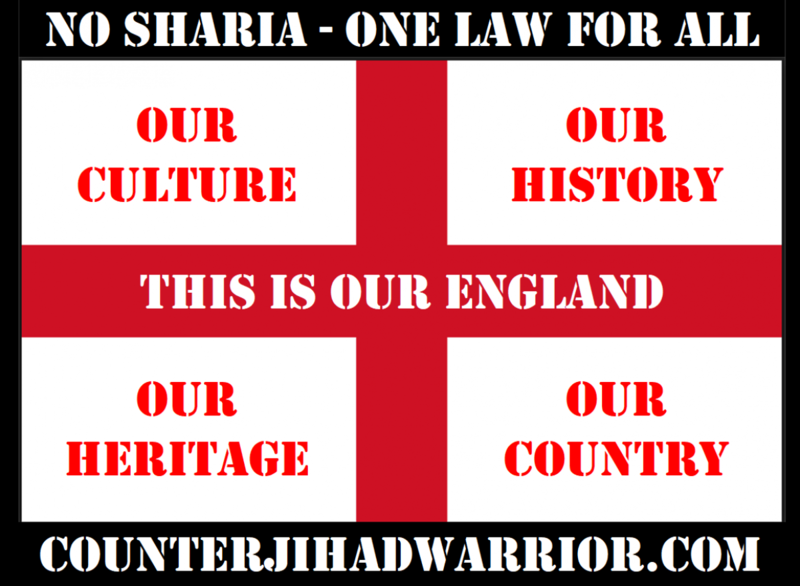 They are an “anti-Islamophobia” group which lost government backing in 2013 after being accused of inflating and misrepresenting statistics…. If nefarious Muslim groups of this nature are allowed to decide what the legal definition of “Islamophobia” is or isn’t, then it will be the death knell of free speech in our society as criticism of Islam will be criminalised – and the oppressive, intolerant totalitarianism of Sharia will replace our hard-won freedoms. Baroness Warsi has form of course, here, here, here, and here. She is aided and abetted in the latest attack on our freedoms by the Runnymede Trust, who have produced another report 20 years on from their infamous original report. The reason that this is important is that if the ability to criticise Islam is taken away from us, then we will be led, like lambs to the slaughter, towards a totalitarian, dysfunctional society based on the ramblings of a 7th century Middle Eastern warlord. Look no further than any Islamic-dominated country in the world, such as Pakistan, to see what an appalling prospect that would be. Below is an article taken from an ICLA paper dated 20 September 2013. It is worth reading in its entirety to understand exactly why so-called “Islamophobia” should be clearly defined before any badly-thought-out legal processes are initiated or applied. The International Civil Liberties Alliance notes with dismay the growing tendency in official discourse to use terms that are ill-defined or even undefined. This practice is especially worrisome when the topics being discussed are contentious, causing heated debates on both sides of an issue. Under these circumstances, it is crucial that precise, unambiguous definitions be provided, and that all parties discussing the issues agree on those definitions. Since 11 September 2001, the epithet ‘Islamophobia’ has increasingly become in vogue in Britain — not only from Muslims but also, surprisingly, from wide layers of the left, yet the term is seldom elaborated upon or placed in a proper context. Invariably, it is used unwisely and irresponsibly and my argument is that the left should refrain from using it. Shockingly, some on the left have, on occasion, even resorted to using it as a term of rebuke against the left, secular, critics of reactionary aspects of Muslim involvement in the anti-war movement. So what does the term mean? “‘Islamophobia’, a term which is widely used by NGOs and frequently appears in the media, tends to denote fear, hatred or prejudice against Islam and Muslims.” The above passage does not qualify in any way as a definition of “Islamophobia”, and yet the word forms the basis for an entire guidebook officially published by OSCE. It is completely unacceptable that an undefined term be employed in such a manner, especially when the topic referenced is currently so controversial. Islamophobia is a contemporary form of racism and xenophobia motivated by unfounded fear, mistrust, and hatred of Muslims and Islam. Islamophobia is also manifested through intolerance, discrimination, unequal treatment, prejudice, stereotyping, hostility, and adverse public discourse. Differentiating from classical racism and xenophobia, Islamophobia is mainly based on stigmatisation of a religion and its followers, and as such, Islamophobia is an affront to the human rights and dignity of Muslims. It is therefore no exaggeration to say that the definition of “Islamophobia” officially recognised by the OSCE is essentially the same as the definition promulgated by the Organisation of Islamic Cooperation. This is a clear conflict of interest. It is analogous to allowing a government regulatory agency to assign an industrial firm the task of writing the official regulations that define how that same firm is treated by the government. Such governmental practices are considered unethical and corrupt in all Western countries, including the participating states of the OSCE. The same standards recognised by governments should also apply to the OSCE: Organisations with a vested interest in defining a particular term to their own advantage must not be permitted to write the official definition of said term. The term “Islamophobia” was coined a just over a century ago. The first recorded use of the word was in 1912, in French (“l’islamophobie”), and it reappeared occasionally in the 1920’s and later in the century. Its original sense referred to a fear among modernised Muslims of the traditional forms of Islam, rather than an attitude towards Islam held by non-Muslims. The term Islamophobia seemed to first appear in Britain during the Rushdie affair in the late 1980’s. This was an attempt by fundamentalist Muslims to silence critics such as Rushdie and his supporters for free speech by arguing that only the wider ‘Islamophobia’ of British society and state allowed this to pass unpunished. The implication was clear: criticism of Islam is tantamount to ‘Islamophobia’ and is therefore out of bounds. This is a position that progressives cannot, should not, and must not accept. When the Runnymede Trust issued its infamous landmark report in 1997, “Islamophobia” meant a “shorthand way of referring to dread or hatred of Islam — and, by extension, to fear or dislike of all or most Muslims”. Dr. Allen here highlights the most intractable problem with the term: a phobia, by definition, is irrational. Not only does the use of the word stigmatise those so designated — which was as far as the author cared to take his objection — it requires that those who apply it demonstrate the irrationality of the purported fear. In order to make the case, one would have to prove that the designated “phobic” had in fact nothing to fear from Islam. In most cases this would be difficult to do, and any attempt to examine the data needed for such a proof would subject the mass behavior of Muslims to scrutiny, which would cause controversy — and would in itself be considered evidence of “Islamophobia”. Thus the definition of the word “Islamophobia” is problematic, and any proof of the existence of the condition it describes is difficult or impossible to obtain. Nevertheless, the word has gained widespread currency, appearing more and more frequently over the past ten years or so. In December 2004, then-Secretary-General of the United Nations Kofi Annan, speaking at a seminar entitled “Confronting Islamophobia” in New York, referred to Islamophobia as an “increasingly widespread bigotry”. The Organisation of the Islamic Conference (now the Organisation for Islamic Cooperation, OIC) established an “Islamophobia Observatory” in 2007, and it has been issuing reports annually ever since. In April 2012 the OIC inaugurated a TV channel to counter Islamophobia. This statement implies a moral equivalence between “Islamophobes” and terrorists who kill innocent bystanders with powerful bombs. To make such a comparison using such a hazily defined word is to skate onto the thinnest of ethical ice. Any terms whose contextual meaning might be unclear are defined. The definitions used below are all taken from the online version of the Merriam-Webster Dictionary. Is “contemporary” racism different from that displayed by, say, the garrison manning the walls of Vienna during the Ottoman siege of Vienna in 1683? If so, what is the difference? If there is no inherent distinction between the racism practiced centuries ago and that which exists today, then the use of the term “contemporary” is functionally meaningless, and should be abandoned. Given this definition, how might “xenophobia” be applicable to “Islamophobia”? Consider the Egyptian city of Minya, which recently experienced extensive violence at the hands of supporters of the Muslim Brotherhood. During August 2013, over the space of a few days, Islamic fundamentalists attacked and burned churches, orphanages, and homes belonging to Christians. The attackers chose their targets on the basis of religion; that is, buildings were set on fire because they were owned or occupied by Christians. Does a fear of Islam ever have a “sound basis”? Or is it always “groundless” and “unwarranted”? Relevant examples might be drawn from a number of countries. In order to avoid excessive length, for the purposes of this examination we will consider only a series incidents that took place in Pakistan in the spring of 2013. Many more examples could be presented, extending all the way back to Partition in 1947. And Pakistan is just one of numerous Muslim-majority countries in which Christians, Hindus, Buddhists, Jews, Zoroastrians, and atheists are repeatedly persecuted, attacked, and killed for their faith (or lack thereof). Based on the evidence, if a Christian in Pakistan fears or hates Muslims and Islam, his misgivings can hardly be called “unfounded”, since they have a sound basis, are firmly grounded, and warranted by experience. The same might be said of non-Muslims in Egypt, Syria, Iraq, Malaysia, Indonesia, and other countries or regions where Islam is dominant. The fears of non-Muslims in these places are not unfounded; therefore those unfortunate citizens cannot be characterized as “Islamophobes”. Having read this official text, any Christian travelling to Saudi Arabia would have a sound basis for being afraid of Islam. Similar statements from Muslim leaders in other countries — including Western countries where Muslims are still a minority — demonstrate that a fear of Islam is warranted in any area where more than a small number of Muslims reside. Moreover, the determination of the “sound basis” of any fear of Islam must of necessity involve the examination of the behaviour of Muslims en masse. To do so would mean to research the incidence of Islamic violence and compile statistics about its frequency and extent. Unfortunately, as numerous dedicated scholars have already experienced, to conduct such research is to invite accusations of “Islamophobia” from prominent Islamic groups and their allies. In other words, the attempt to determine whether a fear of Islam is warranted is in itself evidence of “Islamophobia”. Thus the definition of “Islamophobia” becomes effectively recursive. Those accused of it find themselves stigmatised with a self-referential term that cannot be examined or refuted using logic and the rules of evidence. British banks are banning piggy banks because they may offend some Muslims. Halifax and Nat West banks have led the move to scrap the time-honoured symbol of saving from being given to children or used in their advertising, the Daily Express/Daily Star group reports here. Muslims do not eat pork, as Islamic culture deems the pig to be an impure animal. Salim Mulla, secretary of the Lancashire Council of Mosques, backed the bank move. “This is a sensitive issue and I think the banks are simply being courteous to their customers,” he said. Prior to 2005, the banks had been tolerant of people who liked piggy banks, but were also accessible to those who did not. After “correcting” their practices, they no longer catered to patrons who preferred and enjoyed piggy banks. Islamic scripture thus justifies discrimination against women. Since the Koran and the Sunna (of which the hadith form a part) are the basis for Islamic law as practiced by all four schools of Sunni jurisprudence, we must conclude that Islam discriminates against women as a matter of law. No dictionary definitions are required here: the meaning of the phrase “unequal treatment” is clear and generally accepted. If Muslims were to be treated differently from non-Muslims under the law, then that would be an example of unequal treatment, and clear evidence of “Islamophobia”. Islamic law thus prescribes different legal penalties for the same crime, one when the victim is a Muslim, and another when the victim is a non-Muslim. Islam plainly treats Muslims and non-Muslims unequally as a matter of law. We must therefore conclude that Islam itself is “Islamophobic”. When God sent his Prophet Muhammad, He abrogated with his law all other laws and He commanded all people, including the people of the book, to believe him and to follow him. The people of the book should have been the first to believe him because they find him in their scriptures. The clash between this Muslim nation and the Jews and Christians has endured, and it will continue as long as God wills. In this hadith, Muhammad gives us an example of the battle between the Muslims and the Jews. An objective observer cannot help but note that these passages, taken from scriptural texts confirmed as authoritative by the consensus of Islamic scholars, display irrational hostility towards both Jews and Christians (the former constituting a race as well as a religious group). This demonstrates that the core sacred writings of Islam contain evidence of racial and religious prejudice against Jews and Christians. This is not to say that there may not also exist prejudice against Muslims among non-Muslims. However, we are ill-served by an overwhelming institutional emphasis on one type of sectarian prejudice when others — amply attested both by the historical record and by current events — are almost completely neglected. This is another loaded word that is commonly used to stigmatise anyone who criticises — or even simply observes and comments on — the behaviour of members of a designated “protected” group. 2: something conforming to a fixed or general pattern; especially: a standardised mental picture that is held in common by members of a group and that represents an oversimplified opinion, prejudiced attitude, or uncritical judgement. Determining exactly what constitutes an “oversimplified opinion” requires a very subjective judgement. How much can an opinion be simplified before it is “oversimplified”? How much generalisation about a distinct group is allowed before it becomes a “prejudiced attitude”? The following sentence is an example of simplification, but would probably be considered an acceptable description of Islamic practice: “Most faithful Muslims face Mecca and pray five times a day, bowing and putting their foreheads against the floor while kneeling.” This is an accurate representation of the behaviour of average Muslims when they gather for corporate worship, and may be readily observed in public. This sentence, on the other hand, might not fare as well: “Muslim protesters often shout ‘Massacre those who insult Islam’ and similar slogans while carrying signs that read ‘Death to all those who insult the Prophet’ or other threats against non-Muslims.” It is descriptively accurate — many such examples have been observed at demonstrations and have been recorded and published by the news media — but the observation does not reflect well on Muslims or Islam. Thus it would commonly be seen as “stereotyping”, and cited as evidence of “Islamophobia”. To summarise: a realistic précis of the behaviour of Muslims may be considered acceptable and innocuous, or unacceptable “stereotyping”, depending on the content of what is observed. The Islamist pressures against Christian communities in Aceh “have become intolerable. Within a year, with non-existent legal pretexts, 17 house churches have been closed: these also include Catholic chapels. The islamisation of the province continues , just as promised by the governor Abdullah.” It is the sense of the Annual Report published by IndonesianChristian.org, a Protestant organisation which monitors the situation of the Christian community in Indonesia. Once again, this does not preclude the possibility of hostile attitudes displayed by non-Muslims against Muslims in Indonesia or anywhere else. However, the persistent focus on a single type of sectarian hostility at the expense of others is further evidence that the proceedings of the OSCE often treat Islam differently from other religions.  There are almost 500 honor crimes each year, with on average one honor killing each month;  Honor crimes are committed almost exclusively in an Islamic context;  In Amsterdam alone, between 200 to 300 Islamic women have been imprisoned in their homes by male relatives;  Some 30,000 women in the country have suffered female genital mutilation. Every year, about 50 girls [sic] are mutilated in this way in the Netherlands;  In September 2010, of all women in women’s shelters, 26% were of Turkish origin, 24% of Moroccan origin, 27% of Iraqi origin, and 23% of various mostly non-Western) countries. Yet while Mr. Wilders is routinely condemned for his “adverse public discourse”, Yusuf Al Qaradawi’s utterances are not denounced by any other major non-Muslim political leader, not to mention any Islamic leaders. This malleability of the meaning of “adverse public discourse” illustrates the political manipulation of terms in order to arrive at pre-ordained conclusions. In this case, the predetermined consensus is that Geert Wilders is an “Islamophobe” and Sheikh Yusuf Al-Qaradawi is a “prominent Muslim spiritual leader”. Assigning “adverse public discourse” to the one and not to the other serves to reinforce the intended result. “Racism” and “xenophobia” have been covered above. The addition of “classical” as a modifier of these terms is perplexing. What are “classical racism” and “classical xenophobia”? Mr. Topcuoglu seems to “differentiate” these terms from other varieties of “racism” or “xenophobia”. What might those varieties be? How can racism be “standard”, “classic”, or “authoritative”? Do racists recognise a common “authority”? This makes no sense. There the only plausible interpretation must be “traditional”. But from what “tradition” of racism does “Islamophobia” differ? Are we to pinpoint modern differences of opinion with Adolf Hitler? With Georges-Louis Leclerc, Comte de Buffon? What criteria are we obliged to choose? There has been a concerted effort over the past ten or fifteen years to codify “Islamophobia” as a form of “racism” in the official terminology employed by the United Nations. One presumes that Mr. Topcuoglu is continuing this process with his definition. If “Islamophobia” is to become a new form of “racism” — as distinct from the “classical” variety or any other species of the term — then the precise correlation must be specified. As we observed in the above section on “racism”, there is no logical way in which Islam may be considered equivalent to a race. So what is the legal code that Muslims follow to determine which behaviours are “lawful”? The most authoritative source is ’Umdat al-salik wa ’uddat al-nasik, or The Reliance of the Traveller and Tools of the Worshipper. It is commonly referred to as Reliance of the Traveller when cited in English. For that reason, opposition to Islamic law is no more “phobic” than opposing the Napoleonic Code or the Code of Hammurabi. Based on the commandments of their religion, Muslims might find themselves in opposition to Mosaic Law, the English Common Law, or the U.S. Constitution. Yet no one would question their right to express such opposition, nor accuse them of being “Christianophobes” for their principled stance. Furthermore, such opposition to Shariah cannot be characterised as “stigmatisation”, provided that it quotes Islamic law accurately, recognises established precedents, and cites real examples. The definition of Islamophobia as presented by Umut Topcuoglu fails to meet even minimal standards of logic, coherence, and objectivity. As such it must be rejected for any further usage in OSCE proceedings. Unequal treatment. As described in the “Examination of Terms”, Islam itself (via Shariah) treats non-Muslims differently from Muslims. Under the given definition, Muslims would themselves be guilty of “Islamophobia”. This is a logical absurdity, and the definition falls because of it. Stigmatisation of a religion and its followers. The vast majority of Islam-critics do not “describe or identify [the Islamic religion] in opprobrious terms”. Their critiques are focused almost entirely on the tenets of Islamic law (and the practical implementation of those tenets), which are not at all religious. Criticism of the religious elements of Islam is rare, mild, and often non-existent. This term therefore deflects the discussion into a “straw man” argument, and the definition falls because of it. Unfounded fear, mistrust, and hatred. This is the heart of the definition of “Islamophobia”. Any fear, mistrust, or hatred of Islam must be shown to be unfounded if it is to constitute Islamophobia. As previously demonstrated, millions of non-Muslims all over the world have well-founded empirical reasons to fear Islam, and thus cannot possibly be described as “Islamophobes”. Furthermore, any investigation into the basis for the fear of Islam — which requires research into and discussion of the collective behaviour of self-identified Muslims in real world situations — is almost always itself condemned as “Islamophobia”. Therefore the definition of “Islamophobia” makes the word into a self-referential term. This is a violation of logic, and the definition falls because of it. We cannot help but conclude that the definition of “Islamophobia” as presented by the Turkish representative in Vienna on July 12, 2013, is prima facie utterly without merit, and must be abandoned. Footnote: The Twitter followers of #Islamophobia20 have some interesting comments, not all of them supportive of Baroness Warsi or the Runnymede Trust. Maybe they know something she doesn’t.